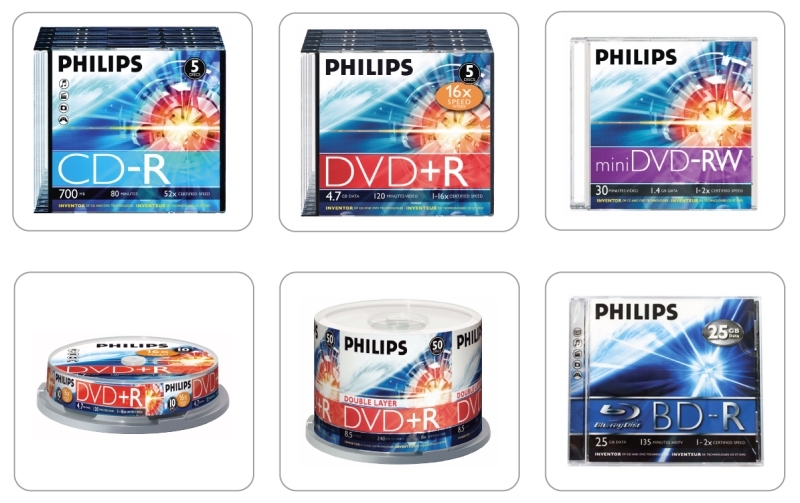 Philips offers one of the most complete ranges of CD & DVD recordable media. They are available in more than 20 added-value packaging variations. Look out for the 'supernova' range, an attractive packaging design! Blu-ray Disc is a new generation optical disc format which can record, rewrite and replay full High Definition content. Jointly developed by Philips and other major manufacturers, a Blu-ray Disc offers more than ten times the storage capacity of traditional DVDs - up to 50 GB on a dual-layer disc. Blu-ray Disc supports Full High Definition resolution (1920 x 1080p) and up to 7.1 channel surround sound.